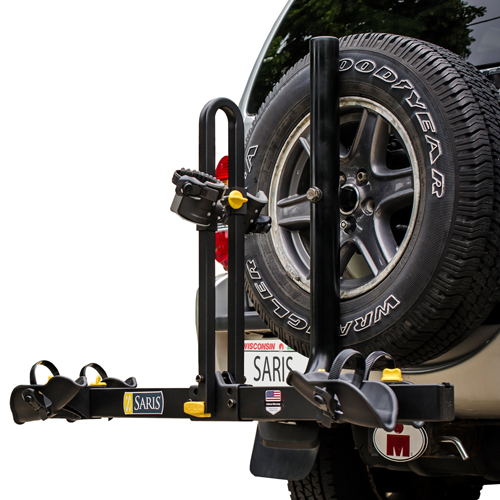 Saris Spare Tire Mounted Bicycle Racks and Bike Carriers from The Rack Warehouse are a convenient, economical way to get your bikes to and from your bicycling destination. The Saris Freedom 2 Bike 999tb Platform Style Spare Tire Mounted Bicycle Racks conveniently carry 2 bikes. 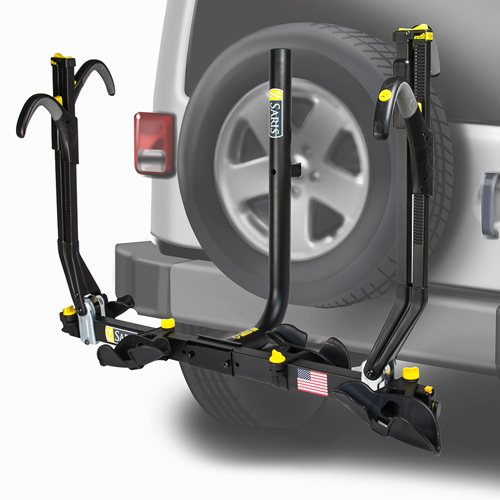 The Freedom 2 Spare Tire Bike Rack includes fit instructions that are specific to your vehicle. If you have a trailer hitch receiver, you may consider a Saris Hitch Bike Rack which avoids all contact with the body of your vehicle.